I am so glad that I got to team up with Ultra Flex to try out this amazing product. 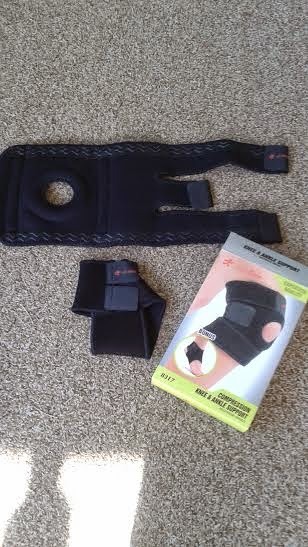 This is the Ultimate Knee Brace & Support with a bonus, a Ankle Support. As that my knee sometimes give out this is the perfect product for me also my husband which loves to work out and works all day standing putting force on his knee and feet is in love with it. The knee brace is very comfortable it is a excellent material it is made from Neoprene and Nylon. This product does not only protect the knee but also the surrounding muscles of the knee which is perfect for some one that lifts heavy stuff. 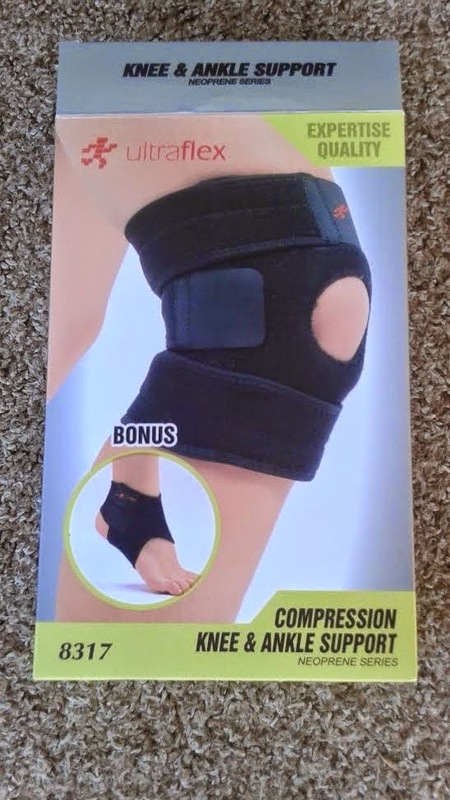 The knee brace warms up the muscles so they won’t ache , it has a 4 way stretch comfortable support, and something that we like very much is that it has Enforced trims on the inside and that helps the knee brace stay in contact and not move or slide. Also it has a firm compression support. This has been the best knee brace that we have used and we have used a lot. Now it also came with a bonus which is the ankle brace and it gives the right support on your feet and it does not move around either.It has the two adjustable velcro that stays on perfectly. As my husband wore it and moved around doing his routine he says that it gripped very nicely on his knee and it did not move around. It actually helped with pain and it supported around the knee very nicely and the ankle bracelet was no difference and with the meterial you can use in with some thin socks and use it while using your tennis shoes. You can use these in any sports including exercising and it suppose to relieve joint pain, fatigue,and it treats arthritis, Acl tear, Meniscus tear, and Tendonitis. *I received this product in exchange for my honest and unbiased review, regardless I only recommend products or services I use personally and believe will be good for my readers.